Immigrants, and their children, still fill the pews at St. Helena&apos;s — but the vast majority of them are now from Vietnam, Latin America, the Philippines and Africa. Weekly masses are conducted in Spanish and Vietnamese as well as English. The senior priest, the Rev. Joseph Trinh, is himself a Vietnamese refugee. One of his associate priests is from Haiti, and another is from Ecuador. "I tell people here that we didn&apos;t have the opportunity to build this beautiful church, but now it is our turn to upkeep it and pass it on to the next generation," Trinh says. "We were welcomed here, and now we have to welcome other groups that come in." 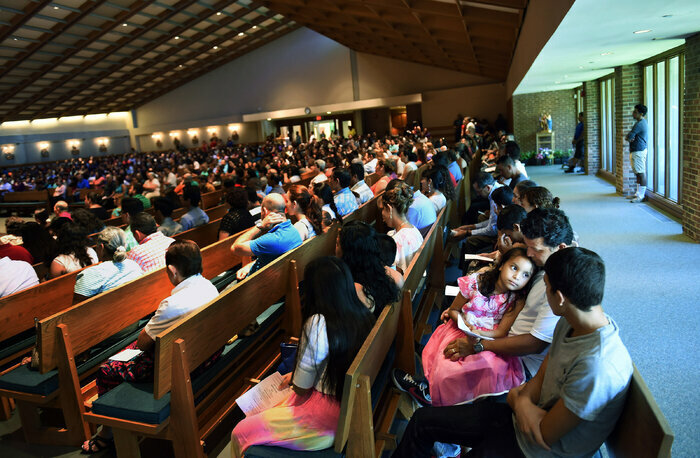 Immigrants may be unpopular in some corners of American society, but not with the U.S. Catholic Church, which depends on immigrant members to replenish its ranks. More than a quarter of today&apos;s U.S. Catholics were born outside the country, and another 15 percent are the children of immigrants. Hispanics account for the largest proportion of the immigrant influx, but Asians are moving up fast. Not surprisingly, immigrants will get a lot of attention from Pope Francis on his upcoming U.S. visit. In New York, he&apos;ll go to a school that serves immigrant students, and he&apos;s expected to follow that with a personal meeting with immigrant families. He will meet again with foreign-born Catholics in Philadelphia, and he is likely to speak out on immigration issues in his address to the World Meeting of Families. "We&apos;re in the twilight of the white ethnic European Catholic Church," says William D&apos;Antonio, a sociologist who has been studying U.S. Catholics for nearly 60 years. "We are in a new era. Within 40 years, this will be a colorful church." The shift is already evident in many urban parishes. Across the northeast United States, for instance, many of the Catholic parishes established decades ago by European immigrants have closed due to declining membership. For a while, it appeared St. Helena might join them. "I remember sitting in church one day and feeling the void," says 66-year-old Mary Black, a St. Helena member for more than 40 years. "People were moving out, and it was that scary feeling of transition, of &apos;What&apos;s going to happen?&apos; But then they came. I really think this church would be shuttered if it wasn&apos;t for the Vietnamese community and other immigrants." 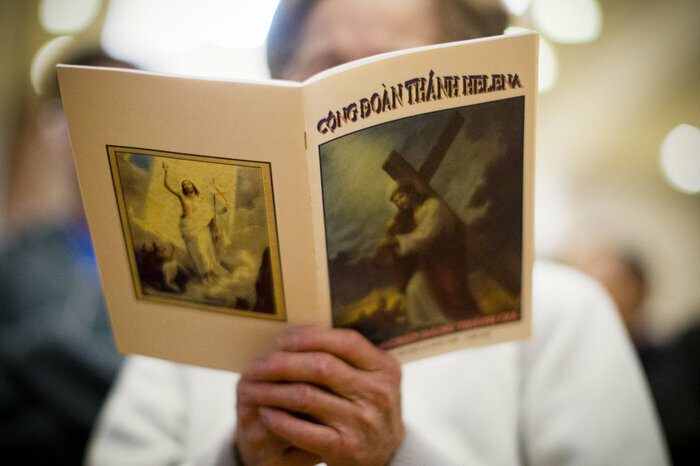 Membership in the U.S. Catholic Church as a whole is dropping, according to the Pew Research Center, but the trend would be far sharper if not for the foreign-born. "Immigrants are a large and important part of the church in the United States," says Greg Smith, Pew&apos;s associate research director, "and their importance to the Catholic faithful will only grow, because they&apos;re much younger than the Catholic population as a whole." With the church depending so heavily on immigrant members, Catholic leaders are outspoken supporters of immigration reform. Cardinal Timothy Dolan, the archbishop of New York, and Philadelphia Archbishop Charles Chaput have both criticized Republican presidential candidate Donald Trump for his anti-immigrant rhetoric. In remarks delivered at a recent immigration panel discussion, Chaput also singled out the Obama administration over its deportation policy, which he said was "brutally" affecting immigrant families. Hispanic immigrants have borne the greatest burden of those policies. About four out of five foreign-born Catholics come from countries in the Western Hemisphere, according to Pew data. Many immigrants from Mexico have settled in the southern and western parts of the United States, and the share of U.S. Catholics living in that region is growing. At St. Patrick&apos;s Catholic Church in Oakland, Calif., Spanish-language Masses are far more popular than English-language Masses. "[When] I say English Mass on Saturday nights, [the pews] are practically empty," says Monsignor Antonio Valdivia. "Then I say a Spanish Mass, be it Saturday night or Sunday morning, and they&apos;re filled to bursting, and you see complete families." The shift in the geographic center of Catholicism from the Northeast and Midwest to the South and West is presenting a challenge to the church, says Smith of the Pew Research Center. "This has real repercussions, in terms of trying to find a match between where the resources are, where the parishes are, where the priests are, where the schools are, and where the people are," he says. 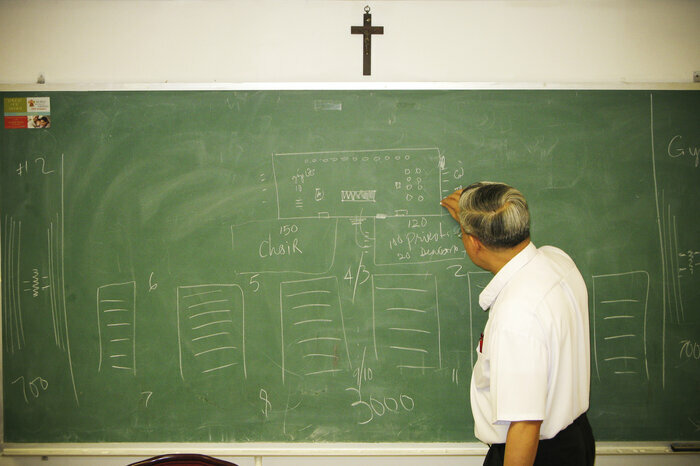 If that problem can be solved, however, immigrants can revitalize Catholic congregations. St. Helena in Philadelphia, for instance, counts about 200 Vietnamese families among its congregation. Longtime parishioners there say that as they get to know the immigrant newcomers, they appreciate what they bring to the community. 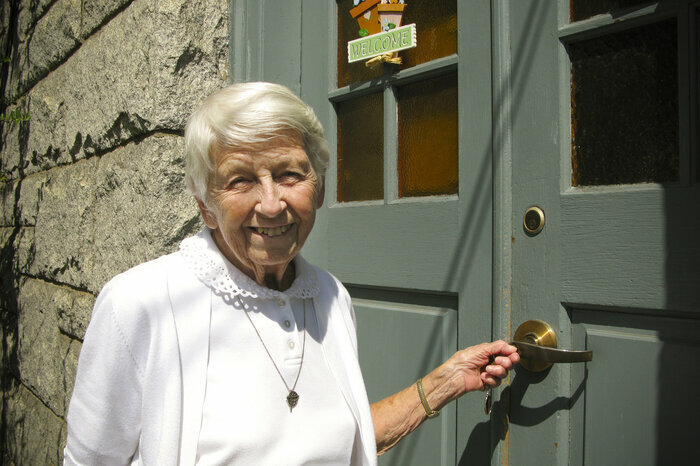 "The warmth of the Spanish people to me is so heartfelt," says Mary Black, the longtime parishioner. "The devoutness of the Vietnamese always inspires me. The folks that come from Africa with their dress, Indians who come in saris — it&apos;s an amazing experience." Her friend Anita Repsch, a St. Helena member for 58 years, says she often attends Mass with her immigrant friends. "We go to Mass that&apos;s Spanish or Vietnamese, and because our Mass is so structured, we can follow it and know what&apos;s happening. It doesn&apos;t have to be in our language," 71-year-old Repsch says. "Basically we can pray together, no matter what language we use." As the first prelate from Latin America, Pope Francis is promoting such cross-cultural tolerance, and 84-year-old sociologist William D&apos;Antonio, himself a practicing Catholic, says he&apos;s encouraged by the changes in his church. "We could be a model for the world of how Catholics from all over know how to live together," he says. With additional reporting by Richard Gonzales.